A friend of ours in Turkey has a great website for model shipbuilders. He also offers a wide selection of free ship plans, but where our ship plans are prototype ship plans than can be adopted to model shipbuilding, many of his plans show the ships already adapted to models. Many feature full-size patterns that can be used to cut the keel and bulkheads, and some even feature info on motor installation for radio-controlled operation. This provides a valuable shortcut if you are not familiar with completing this process with a prototype ship plan. 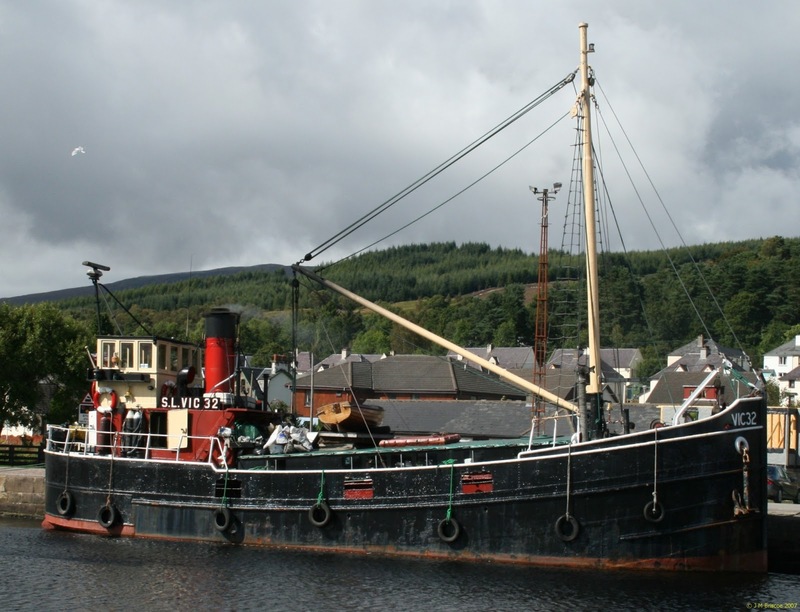 Our all-time favorite of his plans is the Lochinvar Clyde Puffer, a typical Scottish coastal vessel from the early 20th Century. These little tubs just radiate personality. They are so much a part of the U.K. maritime history that a series of novels were written about the exploits of a fictional crew, and later a BBC television series was made based on those books. This ship is a great subject for modeling because, while the prototype is not very large, it has the very "salty" looks of much larger freighters. With a Clyde Puffer model you can build to a fairly large scale and still have a model that is easily handled. Another factor that makes this ship a great subject for modelling is that a huge number of these were made during World War II. Classified as "VIC" Victualling Inshore Craft, after the war they were sold off for private use and some still can be found afloat. There are a vast number of images of them available through a simple internet search, so an infinite number of details can be used to make your Clyde Puffer model distinct. Clyde Puffers also have a very simple, boxy hull shape that makes it easy to plank the hull with sheets of wood veneer, and offers an easy way to learn some of the basic skills that will be needed when it comes to planking more complex hull shapes.